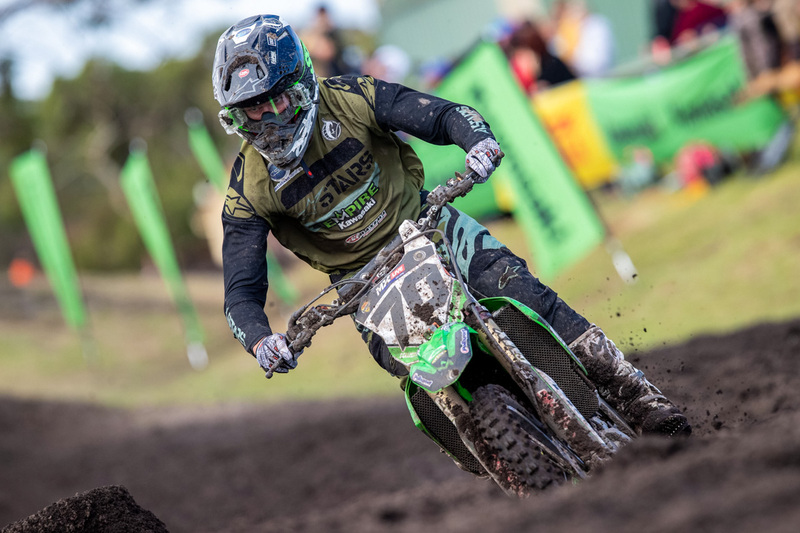 The popular New South Welshman was called into the Kawasaki squad at the last minute for Wonthaggi’s second round two weeks ago, where he led majority of the opening moto before winding up fifth overall in his first motocross race in three years. 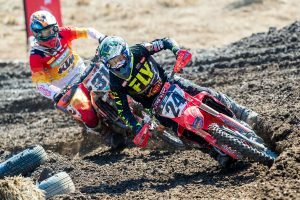 The Sprint format, which consists of two back-to-back eight-lap motos, will be experienced by the premier class for the first time this season on Sunday, offering a promising chance for Bopping to capitalise on the shorter distance outings as he continues the climb to full race fitness. 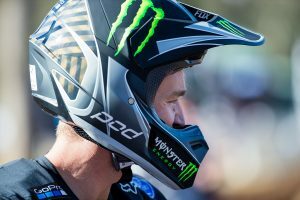 “I think it will play in my favour – I wish had an eight-lapper at Wonthaggi, I would’ve won that first moto [laughs],” Bopping declared to MotoOnline.com.au. “I’m actually excited for that format, but it’s going to be tough – the first one will be good, but the second one you don’t have much time in between, so it’s still very high intensity. Bopping’s last minute appointment saw him contest Wonthaggi aboard a KX450 that was very much in specification of Long’s desired set-up, however he’s spent the last two weeks increasing his preparation, travelling to Melbourne early this week to test with the team and adjust the bike to his liking. “I wouldn’t say my expectations have changed much, but we’ve had two weeks, so I went home and rode my bike for a week, then I came back down to Melbourne on Monday and did some testing with the team – we got the bike a little better and changed the suspension settings. Long suffered an elbow injury at Appin’s season-opener, which could see him benched indefinitely as he allows it to adequately heal.